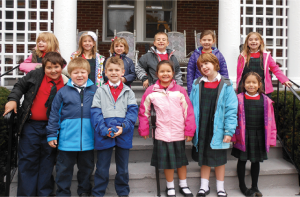 Kindergarteners from St. Patrick’s School in Oneida wrote to retired Bishop Thomas Costello and “adopted” him as their prayer pen pal for the school year. 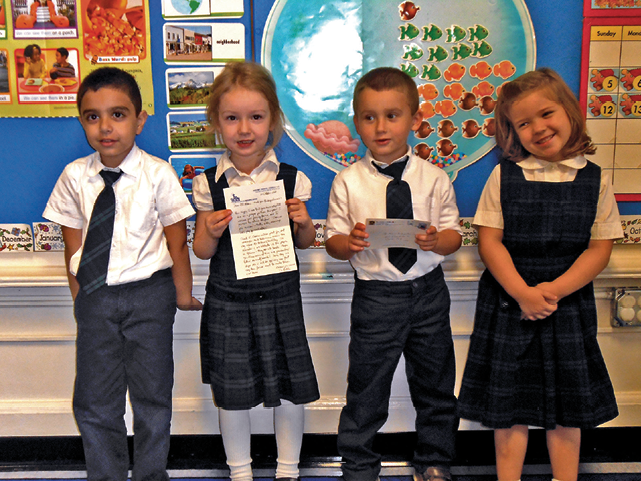 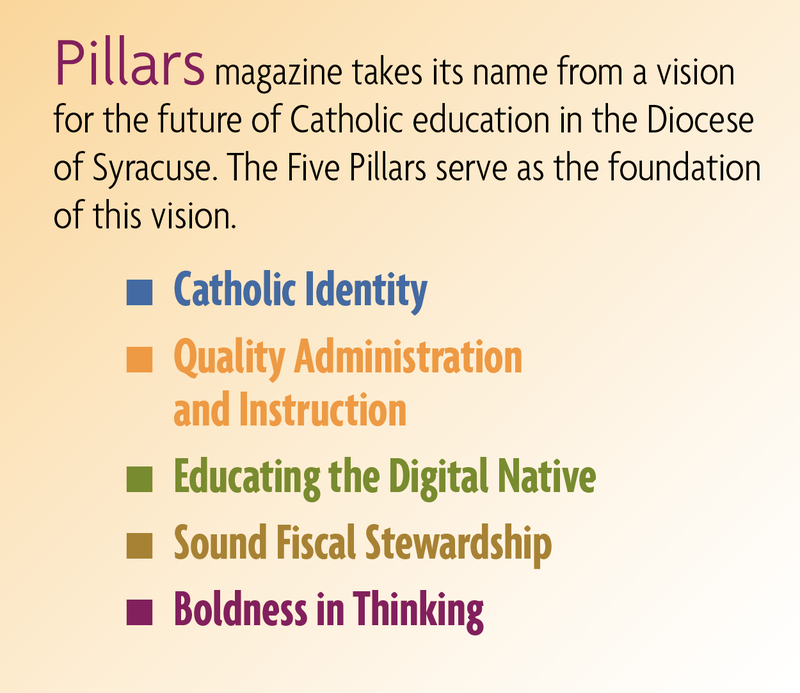 Below, students were excited to receive their first response from Bishop Costello. St. Patrick’s students pay a monthly visit to the nearby Hazel Carpenter Home, an assisted living residence.